2012 MZ Charly Evo Carbon Look. Picture credits - MZ. Submit more pictures. We can only remain mobile if we combine different means of transport intelligently. Charly fits into the boot of almost any car, in every mobile home and on every yacht. There are no limits - Charly can be folded and put away in just a few quick moves. Price as new (MSRP): Euro 2940. Prices depend on country, taxes, accessories, etc. Comments: 48V. 17Ah Li-Ion battery. Quickly collapsible to a height of approx. 60 cm. German made. Ask questions Join the 12 MZ Charly Evo Carbon Look discussion group or the general MZ discussion group. Click here to sell a used 2012 MZ Charly Evo Carbon Look or advertise any other MC for sale. You can list all available MZ Charly Evo Carbon Look bikes and also sign up for e-mail notification when such motorcycles are advertised in the future. Ads with or without pictures are easy to create. Our classifieds are completely free with sections for every country in the world. You can also check out our list of related motorbikes. Compare technical data. Look at photos. 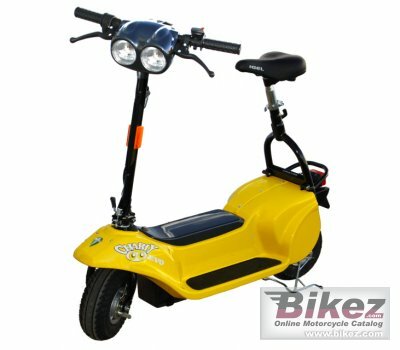 View your fellow riders' rating of the bike's reliability, design, engine performance, accident risk, repair cost, etc.